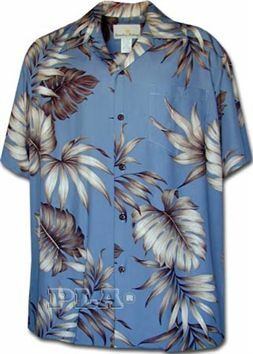 This is a classic 100% rayon Aloha shirt. Rayon fabric is soft and smooth, so it is very comfortable to wear! There is also a pocket on the upper left chest. This shirt was waaaayyyy nicer in person that it looked from the picture. It's beautiful! Picture does not do it justice.